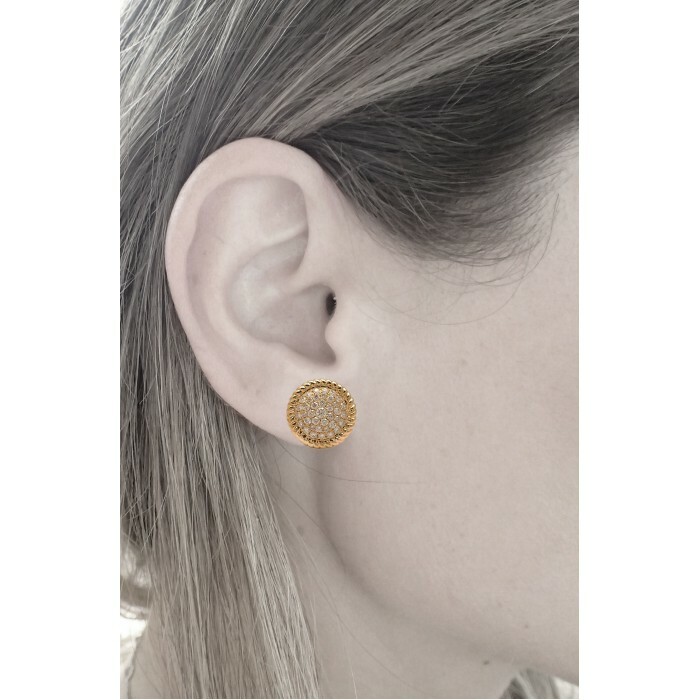 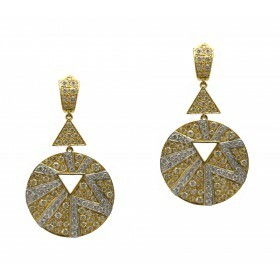 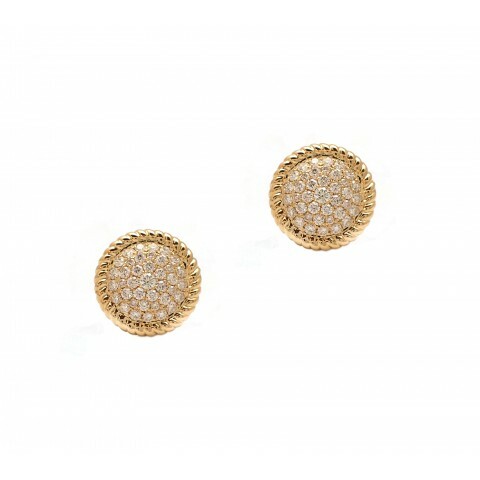 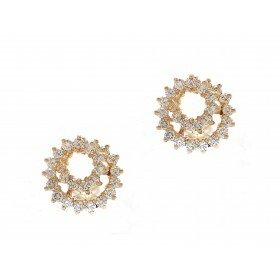 This unique take on diamond disc earrings are the perfect complement to yellow gold jewelry. 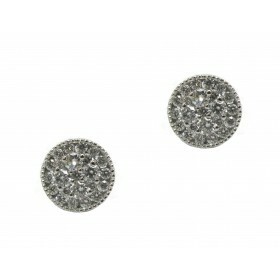 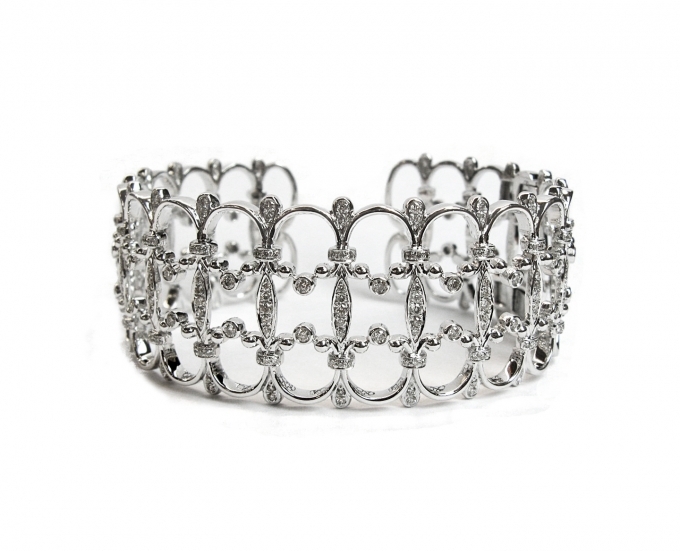 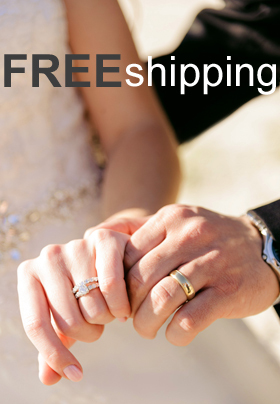 The diamonds are prong set with a slight dome, bringing them ever so subtly off the ear. 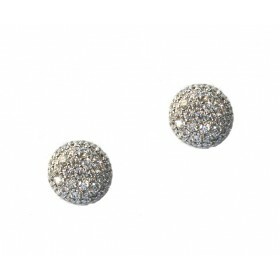 These are great informal, everyday earrings.